Above my work desk stands a framed poster, the iconic Vision image of Walt Disney and Cinderella’s Castle superimposed over the empty site where The Magic Kingdom would one day stand. Below the image is written, “It’s kind of fun to do the impossible,” an inspirational Walt Disney quote that fills my room with childlike hope. Whenever I have a creative block or go through a spell of negativity, I look up at the poster, and I’m instantly reminded of the power of vision, drawing my inspiration from Walt. He is the epitome of translating extraordinary visualization skills into creative realities, like his cartoons, motion pictures and later his theme parks. He always had a vivid mental picture of what he wanted to create in his entertainment empire. Many high achievers in the fields of sports, the arts, business and healthcare, have followed in Walt Disney’s footsteps, holding strong images in their mind’s eye to accomplish their goals, increase focus and boost their performance. 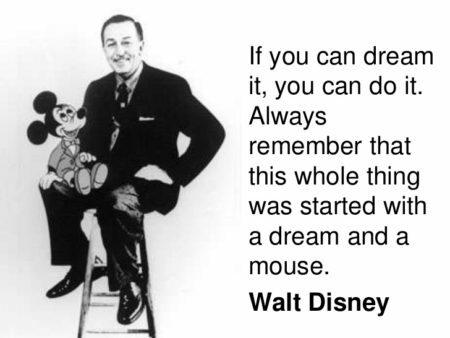 The good news is that all of us have this dynamic power to visualize, but some people, like Walt Disney, use it instinctively. Others have to learn how to use it effectively and build a deliberate practice. No matter what your situation is, you can use creative visualization to shift the circumstances in your life and achieve pretty much anything you put your mind to; advancement in your career and finances, health improvement, and finding true love and fulfilling friendships. The key is to become conscious and bring awareness to your thoughts. Maintain a daily ritual of visualizing favorable outcomes and weeding out any worries and fears playing out in your mind. I’ll admit that the first time that I was exposed to the creative visualization process, I was skeptical about its efficacy. The Law of Attraction, which is a metaphysical term used to describe the universal phenomenon of attracting what you desire just by thinking about it, seemed oversimplified to me. I was also put off by the sensationalism of the principle after the release of the mainstream bestseller, The Secret, which only fueled materialism in our society. But, when the craze died down, I reconsidered my opinion. After stripping away the ‘hocus-pocus’, it actually made a lot of sense. The mind is like a movie screen, and visualizing is akin to watching a prelude. We can use our thoughts as creative forces to express themselves, in a quantum ocean of vibrating energy that responds to how we think. 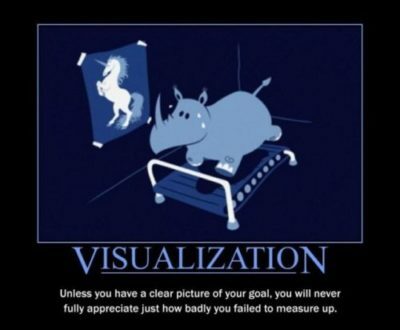 From a practical standpoint, visualization accomplishes several things. Besides sparking your inner motivation to take action on your goals, it activates the subconscious mind to generate creative ideas to achieve your desires. It stimulates your reticular activating system (RAS), an automatic mechanism inside your brain that brings relevant information to your attention, to scan for and recognize resources, circumstances and people that can be instrumental in your quest. Scientists have used brain imagery to understand how visualization plays out in our brain. During visualization, the neurons in our brains, the electrically excitable cells that transmit data, regard the imagery as reality. When we visualize, a new neural pathway is generated that primes our body for action. The brain generates an impulse to command our neurons to play out that vision, even without actually performing the physical activity involved. If done correctly, visualization can be a potent tool which we can utilize to construct the reality that we dream of. When we take steps to align with our desires and become a channel for inspiration fueled by a genuine passion, the process of visualization can indeed work like magic. 1. Get clear on what you want to create in your life: It’s tough to visualize your future when you aren’t clear about what you want and why. A vague dream is going to give you vague results. The more specific and detailed you are about it, the better. Try to get a deeper understanding of the things that bring you joy, which is often a reflection of your values. I suggest writing them down as goals that follow the SMART format and create affirmations based on what you have listed. You can tap into the magnetic power of clear pictures by crafting vision boards that you can look at that get you excited. 2. Make time to meditate and reflect on the specifics: Meditation and visualization are potent tools to enhance self-awareness and to focus the mind on positive outcomes. You can stimulate a powerful attraction by simply holding an image and viewing it in detail for as little as half a minute! However, it’s important that while doing this, you shut down the mental chatter and the fearful voice of your inner critic which could fill you with doubt and indecision. Take time out during your day to meditate on your vision while gradually building the detail. During this time, it will serve you greatly to take note of any relevant dreams, streams of consciousness, messages, signs, and omens. 3. Allow positive emotions to fuel your vision: Your vision will become much more solid when you’re fired up and enthusiastic about your future. It’s this kind of energy that will fuel and kick-start your efforts. Feel emotions and live as if what you see in your mind is part of your reality, right now. Imagine the sights, smells, sounds and tastes of achieving what you want and let an undercurrent of excitement stimulate it. 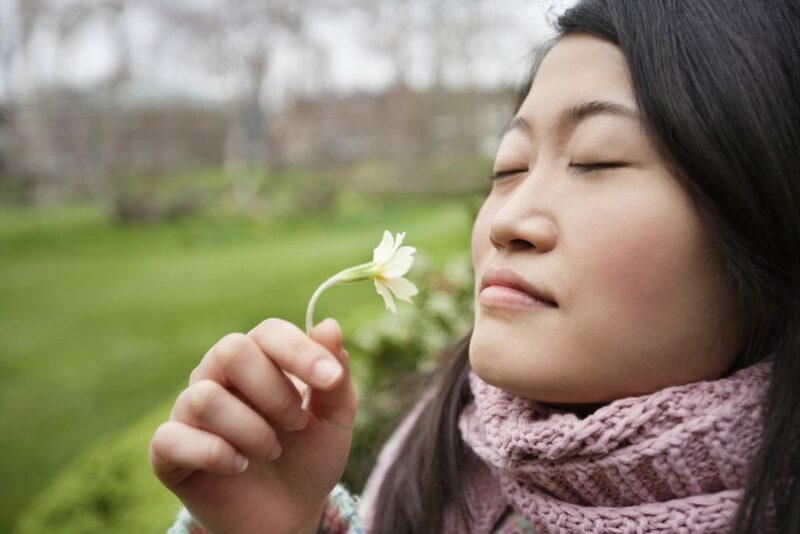 Use affirmations and positive self-talk as you immerse yourself in it. Your emotions are the driving force behind your visualization. Being blasé about it won’t fetch you the results that you’re seeking. Remember not to overthink things – have fun with it and adopt the attitude of a little kid who believes in their fantasies with all their heart. You could even talk, dress, and behave as if you’ve become the person you’d like to become. 4. Become proactive: Ride the wave of enthusiasm that you generate from your visualization practice by proactively taking steps to bring it to fruition in the real world. Let the process guide you towards developing a plan of action that provides a step by step strategy towards realizing your vision. Avoid getting frustrated with the pace of your progress, as success is a gradual process. Stay in the present and acknowledge every milestone and success along the way. Having a vision and believing in it requires you to be bold and daring. It demands an unshakable sense of courage, faith, and trust – not only in the universe, but also in you. You need to trust that you have everything that you need within you to make the impossible, possible. Because you do! Question: Do you believe in the power of visualization? 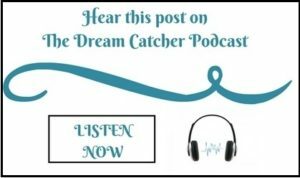 Has this practice ever helped you to successfully manifest a dream? Hmmm…I can see the power in visualization and the importance of it. But do you think it is possible to take it too far? Is being too visualization focused the same as being delusional and refusing to the see the truth at hand because you are so caught up in the visualization image you have created for yourself? You bring up an interesting point Olga, and I can see where you are coming from…. I think there, of course, may be cases where this can happen. However, I think it would be the exception rather than the rule. Like most things in life, there are going to extremes and cases that are out of the norm but they shouldn’t be seen as the way it is all the time. And I don’t think they should deter us either! Right? Seline, thanks for sharing this with the world because I know I sure needed to hear this and I am sure there are others out there who also need to hear these messages. thank you for taking the time and energy to share your thoughts and experiences and insights. I am sure you have helped many (including me)!